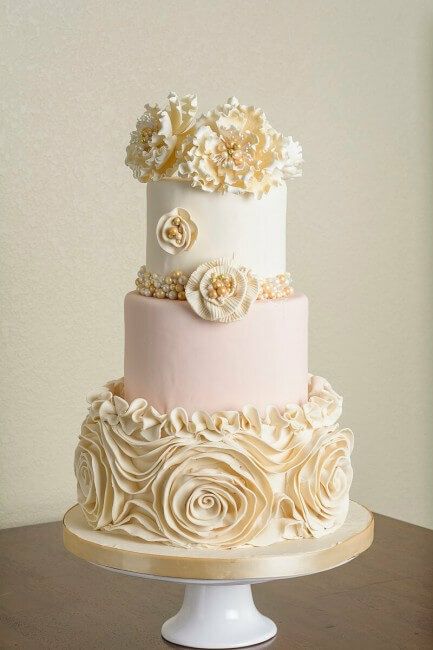 At Simon Lee Bakery, there is always a professional commitment to create and deliver the best wedding cake for your very special day. We can help you select from our uniquely designed cakes or create your own custom designed cake. We work patiently with you to ensure your wedding cake will be a pinnacle point of your wedding day and yet, the cost will stay within your budget. Your cake will be baked fresh the day of your wedding using only the finest ingredients and then beautifully decorated. Serving the Austin, Texas area since 1996. Copyright © 1996 - 2017 SimonLeeBakery.com. All rights reserved.